Inside: These Christmas Mickey Sugar Cookies combine two of our favorite things, Christmas and Disney! We love bringing some Disney into our Christmas traditions (though I haven’t been brave enough to face the parks at Christmastime) like with our Mickey & Minnie Christmas Donuts or re-watching Very Merry Christmas Sing-Along for the umpteenth time. 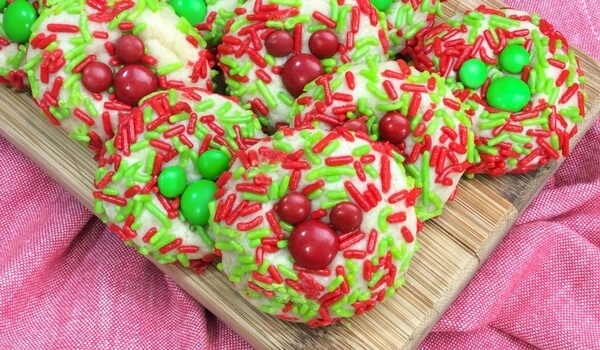 M&Ms are also always a staple – so these Mickey Sugar cookies seemed like a perfect addition to our Christmas baking! We used a slightly unusual recipe for our Christmas sugar cookies so that we could skip the refrigeration step and get to baking and eating them sooner! My daughter loved rolling the balls of dough in the sprinkles and laying out the M&Ms into Mickey head shapes – but I didn’t let her press the M&Ms into the just-baked cookies as the cookies were really hot and there is also a risk that she might accidentally touch the hot cookie sheet. Letting her lay out the M&Ms let her feel like it was still her design without putting her at risk for a burn. 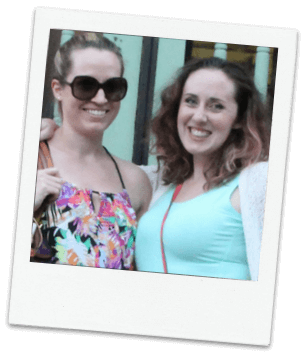 You could also adapt this recipe for just about anytime of the year! Valentine’s Mickey cookies with red M&Ms and pink sprinkles? St Patrick’s with green M&Ms and green and yellow sprinkles? Easter with special limited edition pastel M&Ms? A special birthday featuring the traditional red, black and yellow? Halloween, Thanksgiving, baby showers… you really can do so many different versions of this simple cookie recipe. Tip: try to use jimmie-style sprinkles and not sugar crystals for the best results. Cream butter and sugar together in large bowl with electric hand mixer. Add flour, baking powder, vanilla and evaporated milk. Continue to mix until crumbly. Roll dough into tablespoon sized balls and then roll around in sprinkles to completely coat. Continue to do this until all your dough is gone. 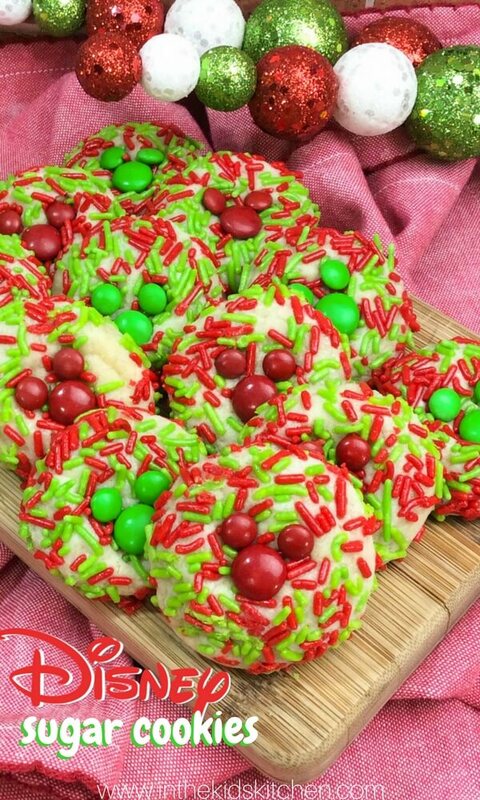 Once cookies are out of the oven, remove to a cooling rack and place a regular size M&M onto the middle of the cookie and then place two mini M&M’s onto the top corner’s where the ears would go. Let cookies cool for another 5-10 minutes before enjoying! 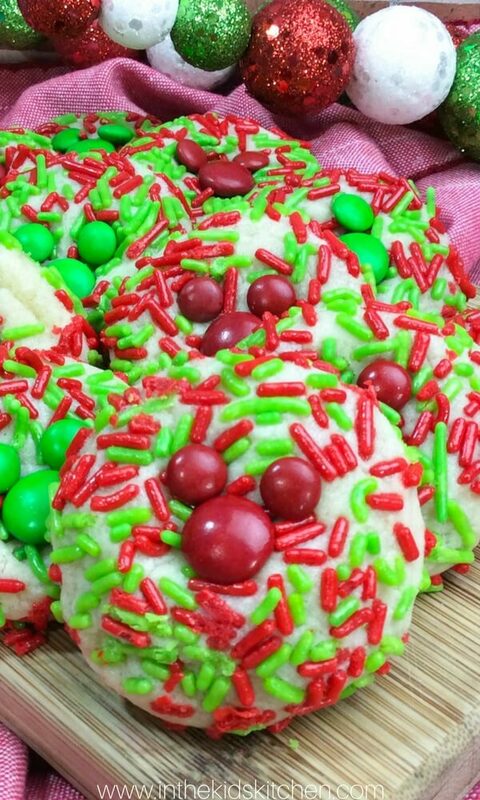 Once cookies are out of the oven, remove to a cooling rack and place a regular size M&M onto the middle of the cookie and then place two mini M&M's onto the top corner's where the ears would go. For more awesome Disney-inspired treats, check out our 50 Disney Recipes for Kids.